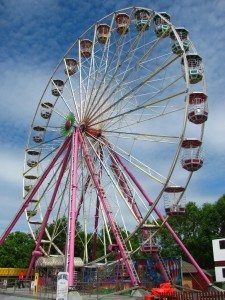 Chances are, you’re one of the millions of people who will be taking a trip to an amusement park this year. Whether you’re taking a one-day trek to your local amusement park, taking a road trek (perhaps in a souped-up station wagon a la the Griswolds in 1983’s National Lampoon’s Vacation movie), checking out some classic wood roller coasters with the American Coaster Enthusiasts, or planning to see all the tourist attractions in Orlando, Florida, you still want the best deal you can get on admission prices. Thankfully, there are always some incredible offers available and many discounts to be had if you know where to look for them. Oh, yes – and, that free admission? Read on to find out more. Want fries with that? One of the best places to find discounts to amusement parks is at drive-through restaurants. Offers can be found throughout the year at selected parks, and are especially common in the late spring and throughout summer. Discounts may range from a few dollars off admission to a certain percentage (like 10 percent or more) off the purchase price of two or more tickets. Paper or plastic? Grocery stores commonly have discounts on admission to amusement parks. Some grocers have special discount tickets available at their customer service counter, while others sell food products that include coupons or mail-in offers. Everything from soda products to breakfast cereals often include amusement park discounts. Check out the end-cap gift card racks, too! Many grocers sell gift cards redeemable for either one-day admissions or even annual passes for regional theme parks; most of these tickets can be had for less than gate price. Join the club! Member of a road or travel club? Then, be sure to pay a visit to the member center to find inquire about buying amusement park tickets. Often, you can find tremendous deals through your auto or travel club, and you may even receive special park perks that aren’t available to regular guests (such as pay for a day, get a free meal at the park). A little play with your work. Many mid-scale and large companies offer discounts on amusement park tickets. Corporate discounts are usually only applicable if you buy your tickets through the company (not at the gate), so be sure to stop by your human resources office to learn about any employee discounts that you may qualify for. Duty, honor, country. So, as for that free admission… It is becoming more and more common for amusement parks to honor active duty personnel with free admission for themselves and a limited number of their dependents. These offers are usually only available at the gate, require active duty ID and dependents’ ID, and typically permit one entry per qualified person per calendar year. Be sure to ask about other park discounts that complement the free active duty admission, such as discounts on meals or next-day tickets. Of course, these are just a few of the many ways you can get discounted admission into amusement parks. There are always new offers and gimmicks coming down the pike, and plenty of bargains to be found on coupon sites. If you are interested in buying a front of the line pass to help shorten your time waiting in the queues of your favorite rides, be sure to check online promo sites and coupon groups. Stay up to date with what's happening on The Travel Guide. From Money-Saving ideas to Things To See & Do... you'll always be the first to see these helpful tips as soon as we publish a new article.